The Sweetest Thing Crafty Online Class will have you creating 8 cards, 2 each of 4 different designs and a cute box to hold all 8 cards and envelopes. These are WOW cards These cards feature the images from the Stampin’ Up! Sweetest Thing Stamp Set, Jar of Sweets Framelits Dies and How Sweet It Is Designer Series Paper. You will receive full color written tutorial PDF and access to an exclusive video tutorial so I can walk you through each step. You will also be decorating the inside of your cards and receive 8 envelops to mail your finished creations. This class will arrive sorted and organized so you can start creating immediately. I’ve cut, scored and die cut everything for you, except what you will get to do with your new stamp set and dies. PLUS – if you purchase the FULL Kit you will receive the all-new All Adorned Stamp Set with your online class. I just finished making the two cards #1 in your Online Class , Sea of Textures! I love the way you put your class & class product together. I can't wait to get to the other 3 cards. Thank you Linda for doing this, look forward to another class in the near future! Cardstock and Embellishments prepped for 1 stationary box. 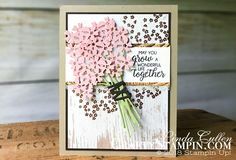 Paper Kit – $ 39.00 Recieve everything from the Full Kit except the Sweetest Thing stamp set, Jar of Sweets Framelits Dies All Adorned Stamp Set. This is for anyone who already owns the stamp and dies. You need the stamp set and die to complete these projects. You will have access to the exclusive video tutorial & downloadable PDF. You can add any of these items to your kit order on the order form. This class is a pre-order. 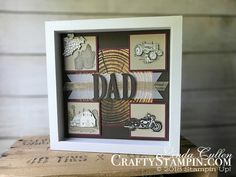 All products included in the kit will be ordered from Stampin’ Up! together after the order deadline. I do not have products on hand to ship. It will take me about one week to order from Stampin’ Up!, cut and ship the class kit. I can only sell Full and Paper kits to US residents. PDFs are available to residents outside of the US. Your kit will be shipped via USPS Priority Mail from my home. Full and Paper Kit prices include Priority Mail for shipping of Stamps, Dies, and/or kit pack. Additional items might increase the size/price of the priority mailing. Your invoice will reflect the additional price. Full/Paper Kits – Your email shipping confirmation will include a password-protected link to the webpage containing the downloadable PDF & Video Tutorial. PDF Only – You will receive an email containing the downloadable PDF on February 25th.